Jess María, MEXICO – During its epochal past, this serene country town of 17,800 roiled with the fiery overspill of volcanic giants to the south. The result today? A brick red loam richer in minerals, some say, than any other region of Tequila Country. On one of the highest rolling hills above town, the ancestors of Maria Socorro Lpez Garibay built a hacienda in 1860 and over the surrounding 250 acres farmed grains, beans, corn – and a crop called blue agave. By then the production of tequila – a craft nearly 300 years old – began to demand more and more blue agave from farmers throughout central Mexico. Garibay’s great-great-grandfather, Don Pedro Camarena, pioneered the widespread growth of agave in this region east of Guadalajara. Camarena distilled his own tequila at the first distillery in the region at his tavern in town. Later the family plantation became purely a supplier to mega-distilleries like Jose Cuervo and Sauza, among others. By 1991, however, the family decided to build its own distillery next to its hacienda. They called it Destilados Olé. And they allowed extended family members to distill, bottle and brand their own tequilas from the blue agave grown on the plantation. So no one fainted when Maria and her husband, Héctor Lizrraga Castelo, sold their successful trucking business in Mazatlan and bought into the distillery of Maria’s family. Good choice. A 2006 research report from Pace University in New York City predicted tequila will continue its previous 10-year trend as fastest-growing distilled spirit category in the world at least through 2010. “Super and ultra-premium tequila brands will accelerate faster than regular tequila,” the report said. Castelo, in his mind, saw an image of an unrivaled bottle he knew could compete in those premium categories. He found a glassblower in Guadalajara to make it. He tested and refined a recipe that could compete with the biggest names in the premium business – Patron and Herradura. But he needed a commanding name to match the strength of the bottle and the smooth taste of the tequila. “Once upon a time,” Castelo, 47, explained, “I was riding around the plantation in the back of a pickup checking the crops with some cousins and nephews. A bull stepped into the road and would not move. But what makes Aha Toro better than other premium tequilas? The elevation, climate and soil indigenous to this particular volcanic slope in Jess María and the traditional, artisan distillation process, say Castelo and his chief chemist, Lorena Arriaga. The blue agave grows in sections on this plantation, each one planted in a different year. Because the heart of the plant, a pineapple-shaped bulb, takes eight to 10 years to mature. Once harvested, the hearts, called piñas, fill a brick oven the size of a large walk-in closet. Behind two steel doors, steam heated to 360 degrees Celsius slow-cooks the piñas for 36 to 48 hours. These days some mass production tequilas flash cook piñas in steel ovens. When cooked, the core of a piña contains a juicy core of sweet candy clinging to the plant’s fibers. Picture a whisk broom dipped into a vat of melted liquid of sweet potatoes and candy corn then allowed to dry. Until recently, the family used a stone-wheeled mill pulled by a horse to grind the juice from the piñas. Now, the piñas roll on a conveyor through a press. And rather than use water to lubricate the piñas as they pass through the press as some distilleries do, Arriaga uses juices captured during the steam cooking to ensure no dilution. After a week in the fermentation tanks the juice goes into one of the traditional four copper stills, not stainless steel as some distilleries now use. “Copper absorbs all the bad flavors,” Arriaga said. But not all the bad alcohol. After the second time through the still, she said, the tequila has three stratified layers – the head, the heart and the tail. “We need to separate it to use the heart only,” she said. The head, which some distillers will mix into their products, contains the methanol that gives drinkers headaches. Here the head evaporates off an open top in the tank. The tail contains impurities that get thrown away. The future Aha Toro comes out of the stills and into oak barrels purchased after one year of use by Jack Daniels, the Tennessee whiskey distiller. The blanco (young) goes to the bottling plant in less than two months. The reposado (rested) ages from two to 11 months. The añejo (aged) stays in the barrels for two years. The tequila turns more golden with age. In the barrel warehouse, Castelo siphons a sample from a test barrel into a glass goblet and demonstrates how to taste it. Pour some tequila into your hands. Rub them together until the alcohol evaporates. Cup your hands over your nose, and take a deep breath. Bad tequila will smell like metal or chemicals. 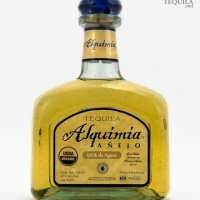 Good tequila gives off only the musky, earthy aroma of blue agave. Swirl the tequila in a glass and watch the legs (drips) run down the inside of the glass. Aha Toro shows few legs that drip slowly. But will Aha Toro sell? “While Patron is clearly the premium-market leader, each month we see new boutique offerings introduced at retail stores and upscale venues nationwide,” said Stephen Gilberg, CEO of HappyHours.com, a New York e-marketing consult to alcohol suppliers and wholesalers. But conglomerates in the world spirits industry have showed their own thirst by buying up popular premium brands for big money – Herradura sold for more than $870 million and Cabo Wabo, a brand started by Sammy Hagar, the former Van Halen rocker, sold for more than $80 million. Furthermore, Aha Toro’s bottle makes it a hands-down eye-catcher on the shelves of stores and bars, said Charlie Barnett, a product packaging, design and advertising expert based on Fox Island. “It fits in with the premium category really well” because of its masculine look and feel and the touch of old-Mexico’s artisans with its handmade pewter labels, he said. That first year of Aha Toro production in 1999 yielded sales of 600 bottles. Last year? 240,000. Roughly 5 percent of those sold in the U.S. The rest sold in Mexico, Russia, Japan, Italy, Switzerland, Lithuania, Denmark, Norway and Australia.